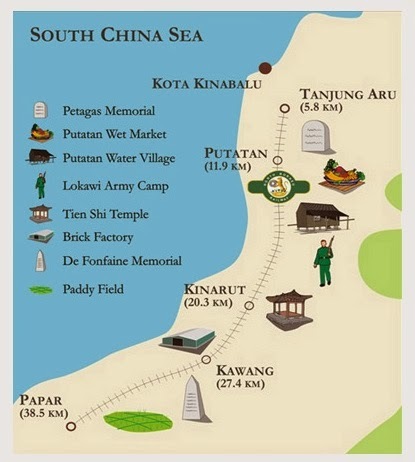 The above map shows the rail line between Tanjung Aru and Papar .... the North Borneo Railways run a steam train between these two stations. The distance being 38.5 klms. 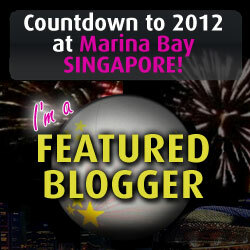 Previous blog posts will have further information on the train and the journey itself. 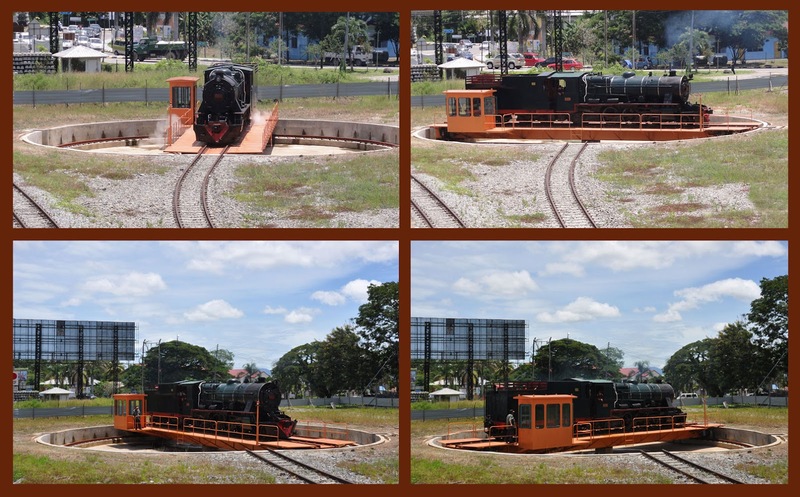 This blog post is to show you the railway turntable at Papar and what it does. Not many people have actually seen one in operation. 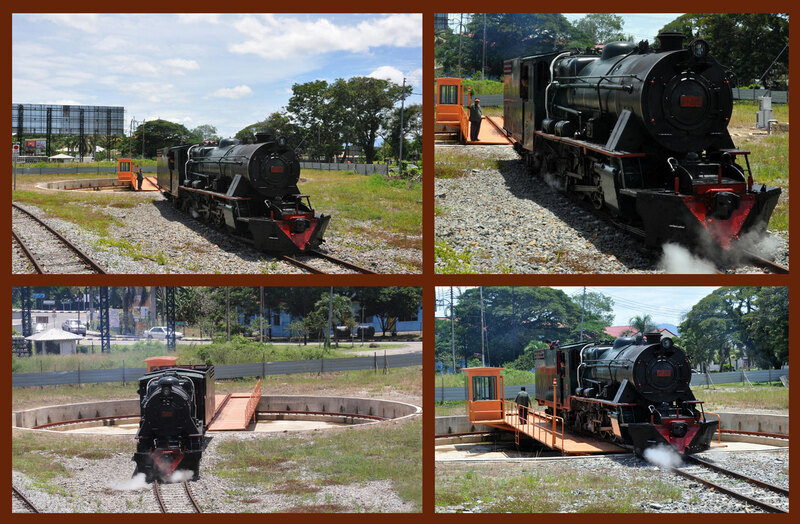 The North Borneo Steam Train travels the 38.5 klms from Tanjung Aru all the way to Papar, but once there it needs to 'turn around' to do the return journey. In the next set of images, the locomotive slowly moves towards the turntable. To use a turntable, a locomotive or railway car is driven or pushed onto the platform and locked in place before the platform is spun to face in a new direction. In addition to being used to turn rolling stock 180 degrees, turntables can also be used to shunt locomotives off onto sections of track positioned at a variety of angles relative to the turntable. 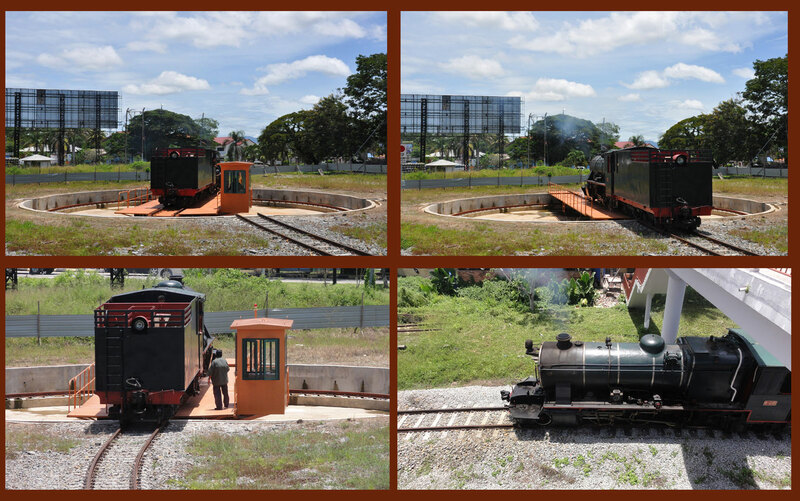 Once the platform has been turned and locked in place, the locomotive can be unlocked and moved. The engine is now on the turntable and the controller - sitting in the small control box - operates the turntable anti clockwise with the locomotive on. The locomotive has now done a 180 degree turn. It will now reverse back up the line until it reaches the rail line it can travel on to re attach itself to the carriages. In the next set of images you will see the 'back' of the locomotive. This is called the TENDER. It is a container holding both water for the boiler and combustible fuel such as wood, coal or oil for the fire box. The North Borneo Railway features a British 'Vulcan' steam locomotive, built and designed by the Vulcan Foundry in England in 1954. 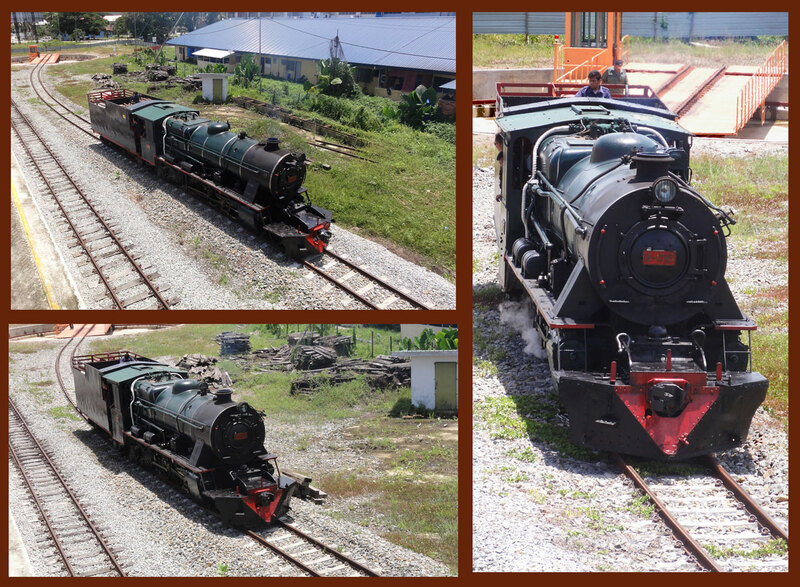 The Vulcan is the last of a fleet of steam engines that have plied the tracks through Borneo since the late 1800's. The engine weighs 90 tons and is finished in traditional dark green and black, with a red stripe to highlight the brass detailing. The wheels are fabricated of iron, with a molded NBR acronym, standing for the North Borneo Railway. The engine is designed for wood burning, a costly yet a viable form of generating steam. 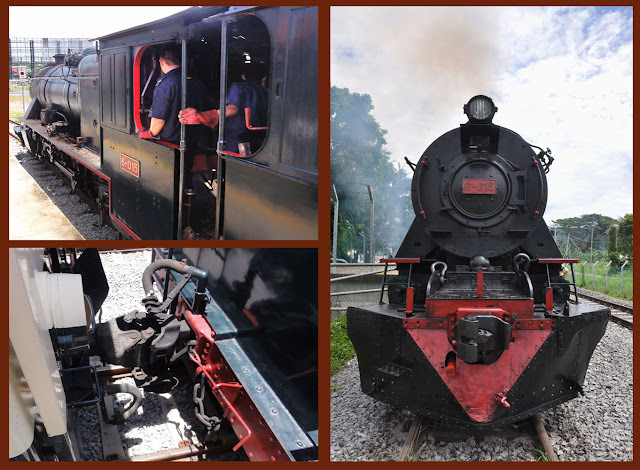 Stepping into the engine is an opportunity to jump back into the shoes of a child, bringing back childhood dreams of pulling on the whistle as the massive train rolls through the countryside. YouTube of the above North Borneo Railway. You may care to see them. 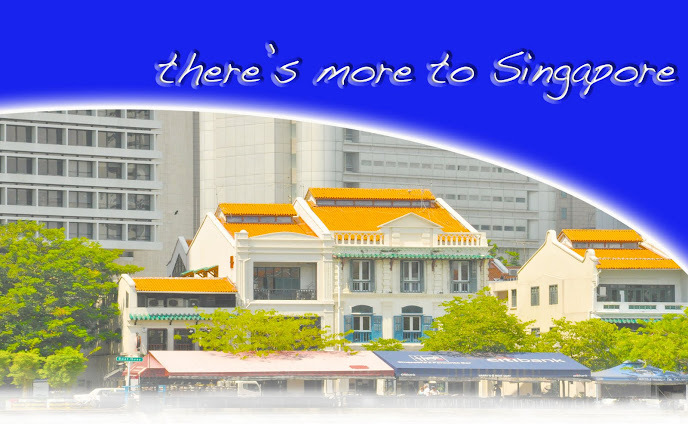 Steam trains and steam train travel always bring back wonderful memories to many people and in a recent blog post about the Tanjong Pagar train station here in Singapore (on his blog titled "The Long and Winding Road"), Jerome Lim mentions "A walk around the yard took me back to a time we have forgotten. The highlight was the turntable which was installed in 1932." 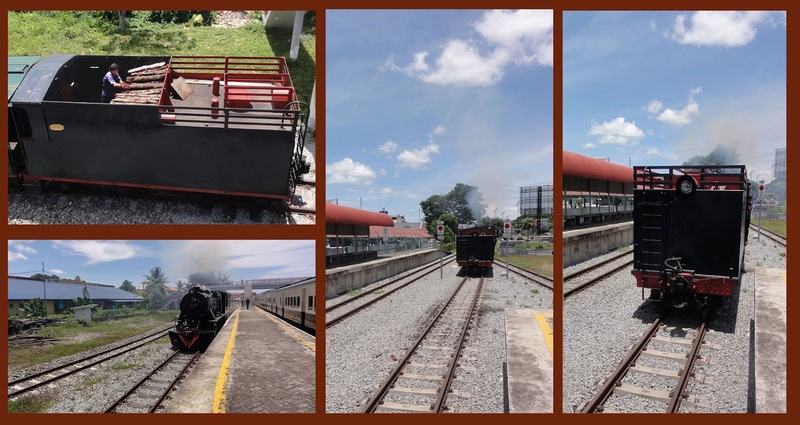 If you want a nostalgic experience or the excitement of traveling on a steam train, do make sure you book the North Borneo Railway Journey in Kota Kinabalu. Information on booking the train is above.